in Opinions, Personal, Side Projects, Thoughts. Swizec Teller published on July 25, 2018 in Opinions, Personal, Side Projects, Thoughts. 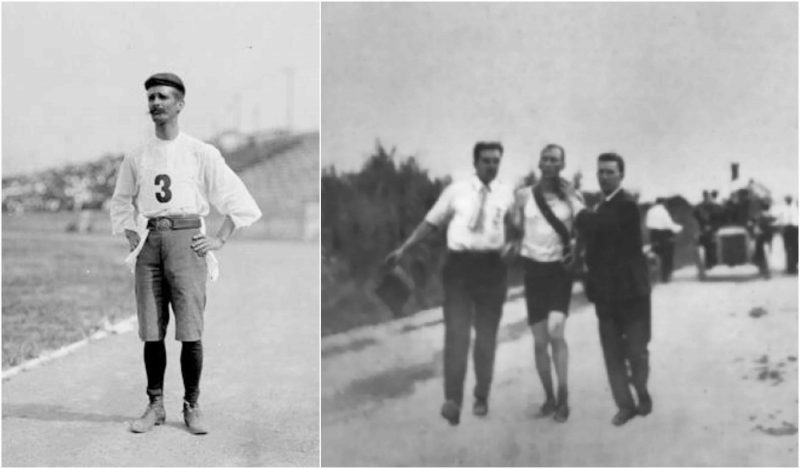 Run faster than the winner of the first official marathon in 1904. 3 hours, 28 minutes, 53 seconds. I was just 2 seconds short of beating the 1904 3rd place finisher at the 2017 SF Marathon. So, you know, hoping to beat the original winner this year. Now, here’s what I learned about marathons: Marathons are easy. A marathon is simply putting one foot in front of the other for a few hours. In a marathon, your goal is to finish the race before your metabolism gives out. You can store about 45 minutes worth of glycogen in your muscles. After 45 minutes, you have to eat something, or take a break, or both. But you don’t have time for real food. You eat a little something. Like a 100 calorie running gel. But in those 45 minutes, you’ve burned 800 calories. You’re at a huge deficit, and you won’t make it up until you finish the marathon. Eventually, your metabolism will give out. You will stop. Every bench you see is like an irresistible magnet pulling you down. Sometimes you sit down before you even realize what you’re doing. The struggle is real. Your body doesn’t wanna do this stupid marathon. The whole thing is a race against yourself. You gotta finish the marathon before your body finishes giving out. Running a business, or a music career, or a writing career, or anything of such nature alongside your full day job is very similar. You’re in a race against time. Where you’re racing against metabolism in a marathon, you’re racing against burnout in the job + side business situation. The goal is to build your business big enough to support you before your mind and body finish saying “Nope, no more” and you burn out completely and can’t keep going at all. When that happens, you will be forced to choose, and if your side business isn’t at a strong enough point, there will be but a single choice. You can take vacations here and there. But you’ll be too stressed to enjoy them. You can take 3-day weekends. But that’s just more stress to deal with. It’s lost time you could be working. Ultimately, there is only one way: Pick side business or day job. You have about 3 years. Maybe 4. You cannot do both forever. Best get your side business strong before you’re done.